LAMB was founded by the Latin American Youth Center, an acclaimed non-profit organization in the District of Columbia that has a thirty year history and a dynamic reputation for providing services to DC’s children, youth and families. LAMB is its own 501 (c) (3). LAMB began with the simple premise that all children can learn and deserve a school that supports nurtures and transforms their natural curiosity and eagerness into knowledge. Unanimous approval of LAMB’s charter application by the DC Public Schools Board of Education Chartering Authority for the creation of a school where children, whose native language is Spanish, could learn English and non-native Spanish speakers could learn Spanish. LAMB opened its doors in Our Redeemer Lutheran Church with 57 students. LAMB co-located with Bunker Hill Elementary. LAMB moved into its permanent location in the historic Military Road School with 104 students. LAMB served 122 students from pre-school through 3rd grade. LAMB began the construction of its new wing to house additional classroom space, a large community room, a nurse’s office and administrative offices. Students, teachers and the principal were temporarily housed at Hope Community School. In January, LAMB moved into its state of the art, remodeled historical facility in the Military Road School building. 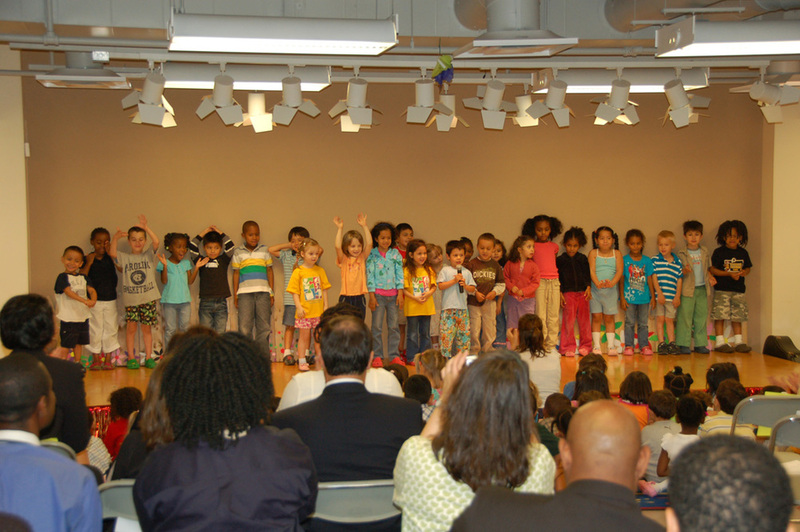 LAMB’s first groups of fifth graders graduated from the Elementary Montessori program after eight years at LAMB. Welcomed 80 new families to our new second facility. Participated in the SHAD Water Project to improve the health of the Chesapeake Bay and local water eco-systems. Exhibited at the National Cherry Blossom Festival "Youth Art Contest" in the historic lobby of the Postal Square Building. Conducted first summer school program of 51 children focusing on reading. Celebrated Military Road School 100th Anniversary. Received special thanks from the Military Road School Preservation Trust. American Express and the National Trust for Historic Preservation awarded LAMB $80,000 for a Partners in Preservation grant. Relocated 2nd facility to Perry Street and opened with 4 primary, 1 lower elementary, and 1 upper elementary classrooms. Designated for the 4th year in a row as a Tier 1 school by the Public Charter School Board (PCSB). Featured in the Washington City Paper's Charitable Donation Guide - Give It Up, DC. Recognized as "one of the best small charities in Greater Washington" in the 2014-2015 Catalogue for Philanthropy. Received a RiverSmart grant from the DC Department of Energy & the Environment (DOEE) for the creation of a school-yard greening project. Featured in El Tiempo Latino newspaper in an article written by Scott Pearson, Executive Director of the DC Public Charter School Board. 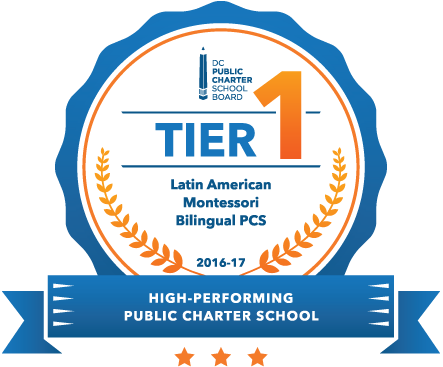 Profiled in the DC Public Charter School Board's report "Quality Education has Positive Effects on Hispanic Public Charter School Students." Honored by FOCUS (Friends of Choice in Urban Schools) Gala with 2 awards for Academic Achievement and Special Achievement. 3 LAMB teams won in Maryland's West Central Regional Destination Imagination Tournament, and one team moved on to State Finals.